Railway Age has named Class III railroad Lake State Railway as its Short Line of the Year, and Class II Indiana Rail Road as its Regional of the Year. Lake State Railway (LSRC) was facing a serious challenge in 2013. Dwindling traffic had dropped 27% in one year on the original territory purchased from Detroit & Mackinac in 1992, capping a long trend of diminishing carloads and customer closings for the northern Michigan carrier. LSRC’s Huron and Mackinaw Subdivisions totaling 210 main line miles were worn out, with more than 100 miles of the Huron classified as excepted track. Customers were shifting away from rail, convinced the end was near for the northern branch lines. A dramatic change had to occur in order to justify continued operations with only 3,605 carloads of annual traffic. In late 2013, the privately owned Class III based in Saginaw put a new strategic growth plan into place, along with a five-year capital plan. Customer relationships were re-energized to earn back lost business, additional lanes were added with existing shippers, and an aggressive focus on transload attracted five new customers in the past four years. 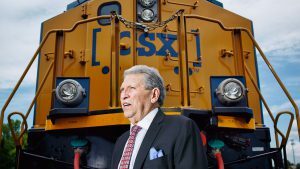 Today, more than a half-billion dollars worth of on-line industrial development projects are under way, generating hundreds of new jobs and thousands of new rail carloads. Customer service has improved by increasing frequency to meet demand. Weekly service to Grayling now has a local on duty five days per week, soon to go to two shifts in late 2018. Service south of Grayling is now up to five days per week, as well. 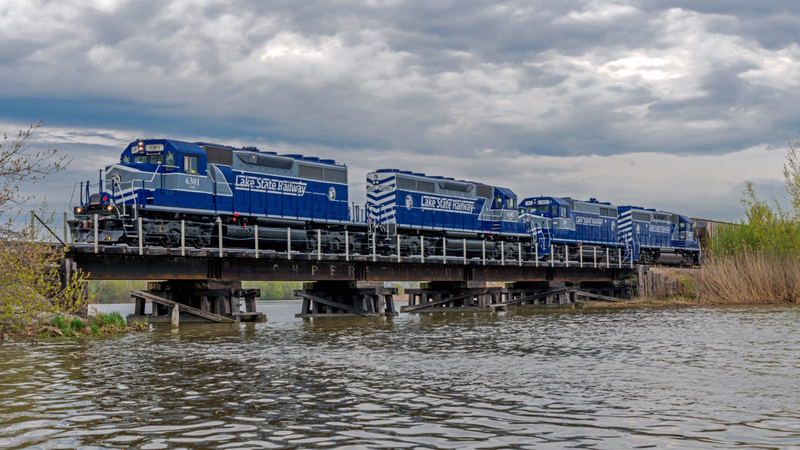 LSRC invested in 190 aggregate cars to support its largest customer, and in a fleet of mill gondola cars, helping one company decide to cancel long-term trucking contracts and shift the majority of its business to rail. A lease of 60-foot Plate F 286K boxcars enabled LSRC to capture new business from an oriented strand board mill in Grayling. The capital program has invested $10 million, including more than 20 miles of new or relay rail and approximately five miles of newly constructed industrial tracks. Current projects under way will represent a near-50% increase annualized by the end of 2018, and projections are to double 2017 volume by 2020. At the same time, Train & Engine headcount is up 20% in 2018, to handle the new volume. Lake State’s growth strategy is paying off for the company, its employees, and the customers in the territory it serves. The future is now bright for two subdivisions that were on the verge of becoming uneconomical to operate. For the Indiana Rail Road, this year’s award marks the second time Railway Age has so honored INRD; the privately held, 500-mile Indianapolis-based company first received Regional Railroad of the Year honors in 2012. 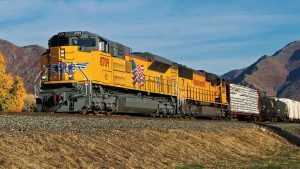 INRD’s success at expanding its non-coal traffic base through an aggressive growth and diversification strategy made the railroad stand out among its peers. In response, INRD employees banded together to build the company via means they could control: growing the business by taking care of existing customers, aggressively pursuing new business opportunities, managing costs, and most important, working safely. 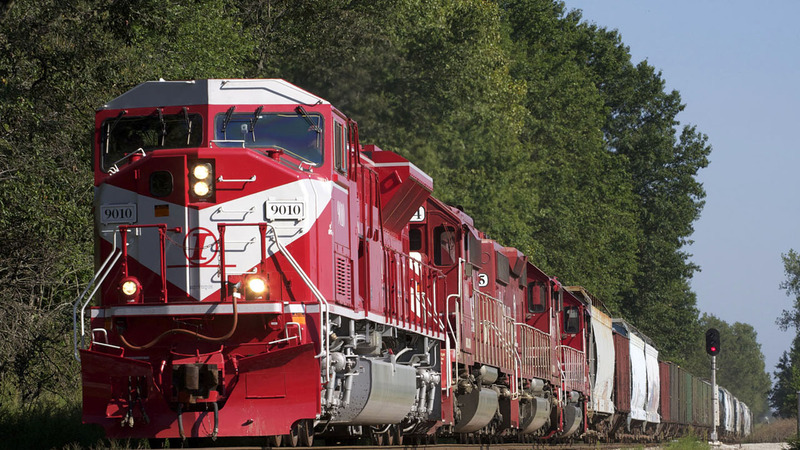 INRD has vastly expanded its non-coal business in recent years by creating an intermodal alliance for trans-ocean imports and exports to/from Indianapolis with CN. INRD opened a warehouse and cross-dock with Indianapolis-based Venture Logistics on Indy’s south side, and rail-to-truck transload facilities in Indianapolis, southwest Indiana and Illinois. Annual surveys reflect a superior customer service product. INRD hauls the equivalent of more than 600,000 truckloads of consumer, industrial and energy products each year. 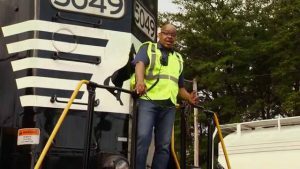 The company is also active in the community, operating its annual, beloved Santa Train, working alongside Habitat for Humanity and Fuller House volunteers, and providing in-class education and first responder grants for online communities. LSRC and INRD will formally accept their awards at the American Short Line and Regional Railroad Association (ASLRRA) Annual Convention, April 7-10 in Nashville, Tenn.